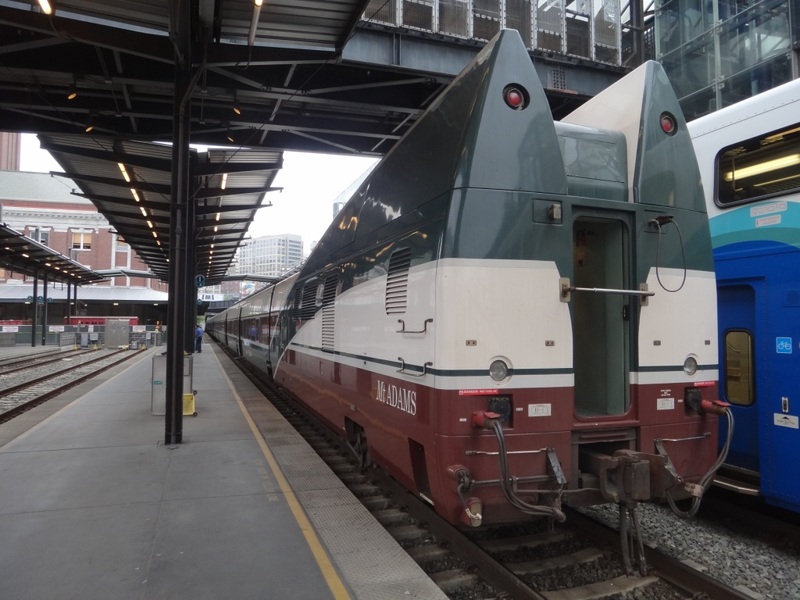 Photograph 1 - Our weird looking Amtrak Cascade train at Seattle Railroad Station. 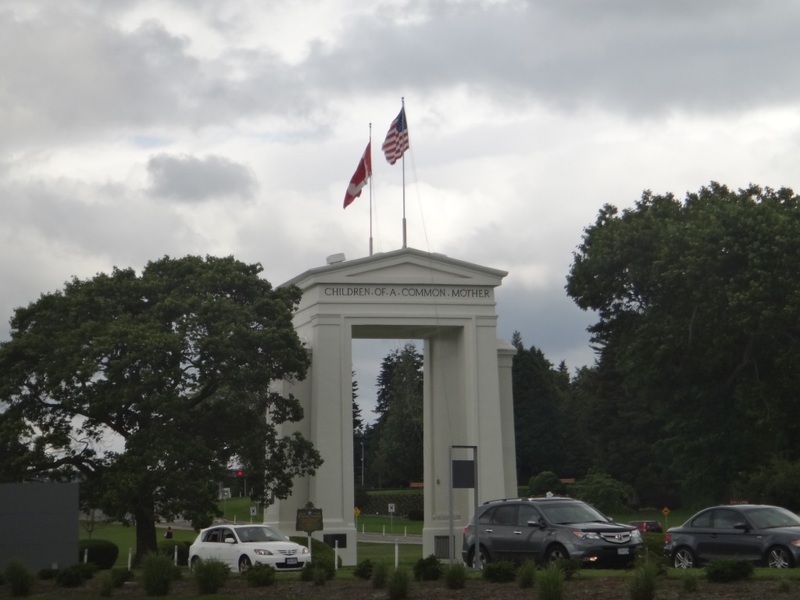 Photograph 2 - This is the Peace Memorial right on the border of Canada and USA near Vancouver. 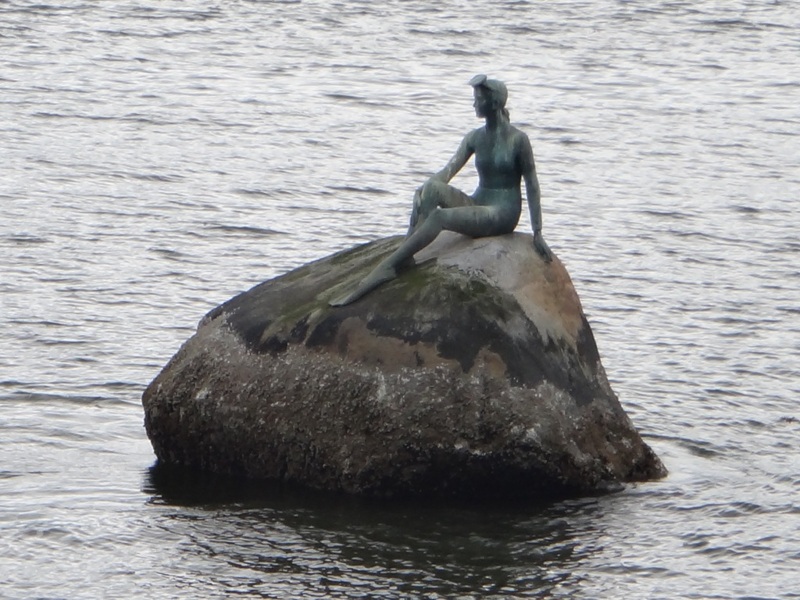 It represents the close bond between these two countries. Photograph 3 - Vancouver is a maze of bridges. Just one of many river crossings near Vancouver, Canada. Photograph 4 - Coal Harbour taken from Stanley Park, Vancouver, Canada. 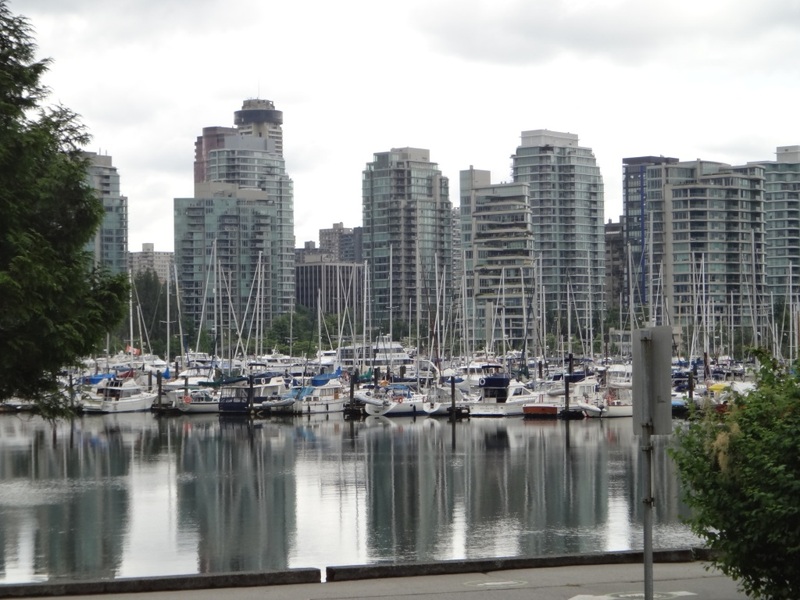 Near the Royal Vancouver Yacht Club. 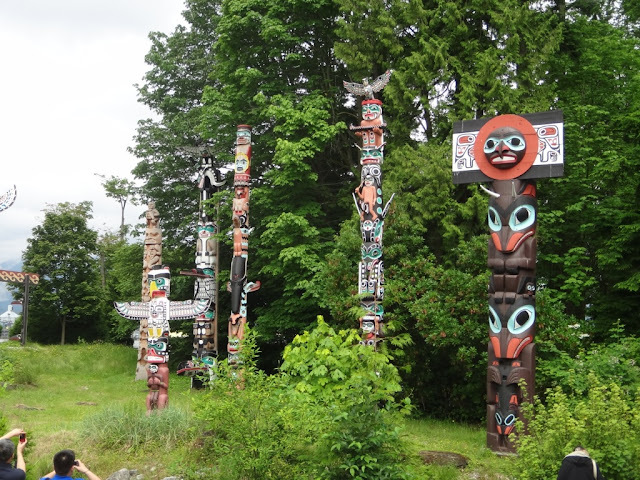 Photograph 5 - Totem Poles of Stanley Park, Vancouver. On their $50 Dollar note?? Photograph 6 - Girl in a Wet Suit - an almost copy of the Little Mermaid of Copenhagen, Stanley Park, Vancouver. Photograph 7 - Anne steadying the horses - Pepper and Rob in Stanley Park, Vancouver. Photograph 8 - Along the main street in Vancouver, Georgia Street. 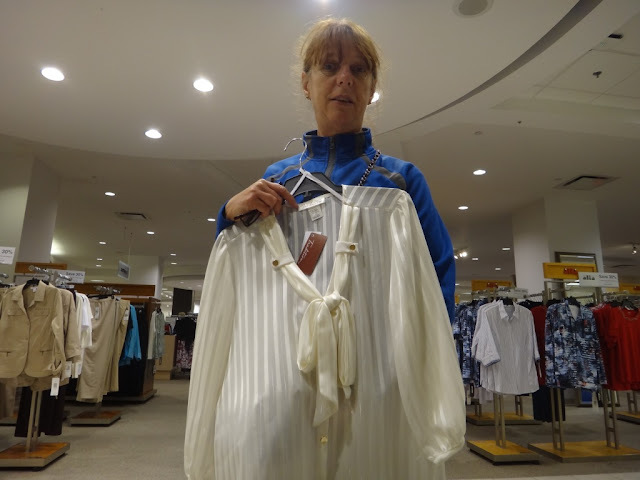 Photograph 9 - Anne shopping at Sears, Vancouver. 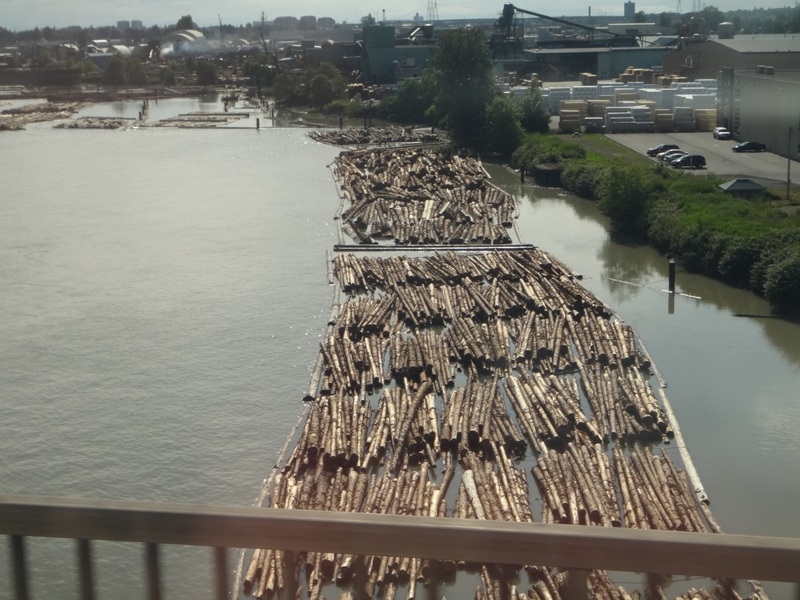 Photograph 10 - Neil's true version of a log jam, near Vancouver, Canada. Just a short burst tonight as it is late. We woke early and arrange a cab to Seattle Amtrak Railroad Station for the 7:45am Cascade Train. 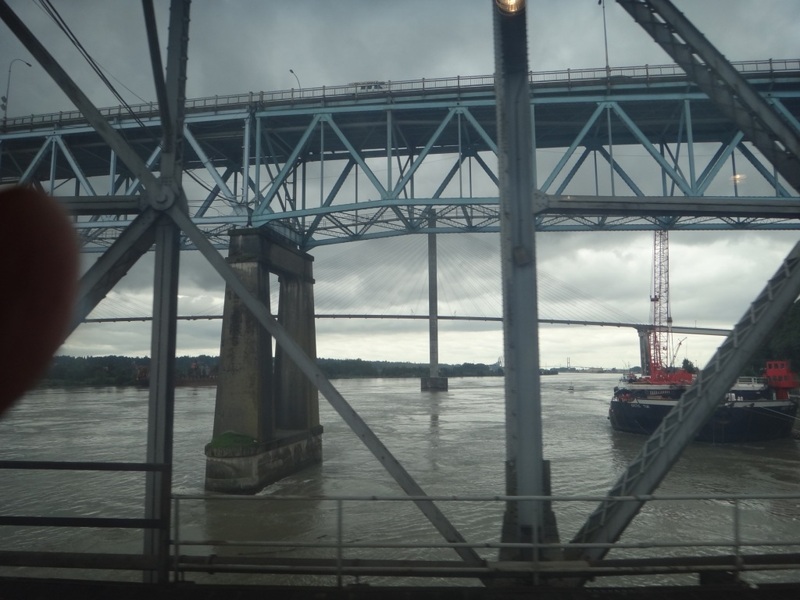 The journey took four hours from Seattle to Vancouver. 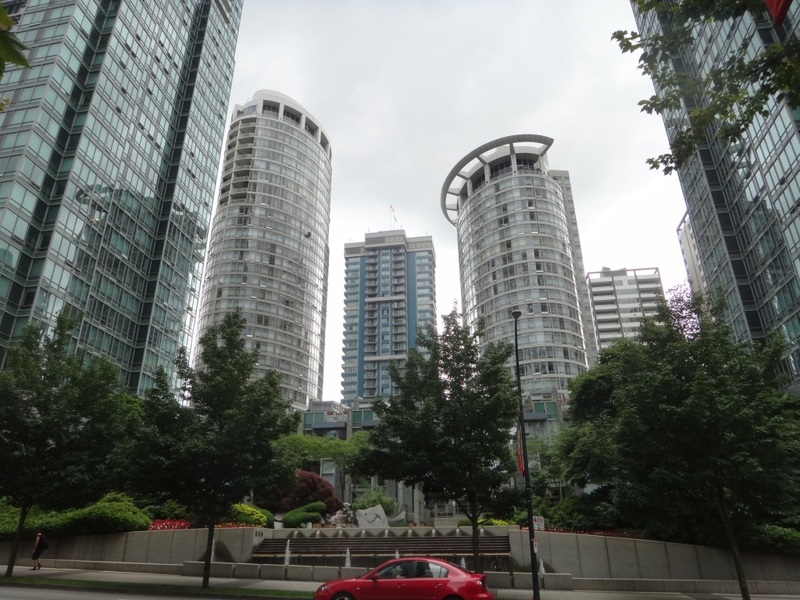 Crossing through the border was a cinch and formalities occurred at Vancouver Railroad Station.We took a cab direct to Stanley Park, a well known tourist location in Vancouver. Had lunch at a roadside diner (yummy tacos) and took a horse drawn wagon ride through Stanley Park. The weather was kind to us all day as it was expected to rain. 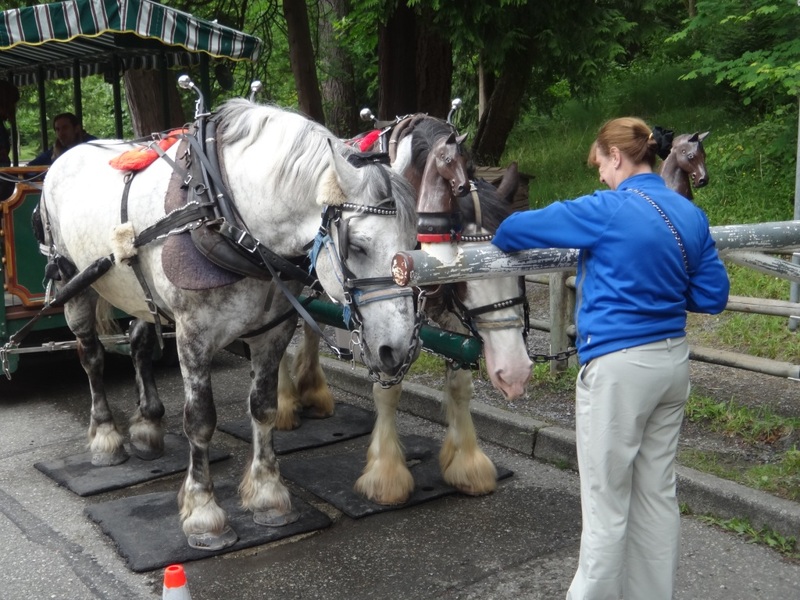 The trip around Stanley Park was relaxing and Anne fell in love with the horses. The young, and I may say, very attractive, driver was excellent in her presentation. After the ride we walked back to Vancouver Station, however, Anne had to stop at Sears to check out and buy clothes (see photo above). The walk back was over three klms. We departed by bus at 5pm and arrived back at Seattle at 9:15pm - one half hour late. The immigration and border control on the American side was s$%tful111 It took over an hour to wait and clear all the formalities (lack of staff was the main offending problem). Tomorrow we are on a tour of the Boeing Factory in Seattle. Renown to have the world's biggest building. So until then - cheers.